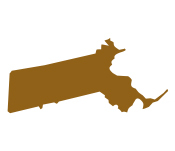 Who can qualify in Massachusetts for a sales tax exemption on utilities? A Massachusetts manufacturer or industrial processor is allowed to exempt purchases of a utility used in production if it meets the requirements. If consumption on an electric, gas, or water meter is used more than 75% for production of the product, the entire meter will qualify for an exemption from state sales tax. How can one obtain the sales tax exemption on utilities in Massachusetts? A valid ST-12, the sales tax exemption certificate must be filed with the utility company. Upon receipt of a valid ST-12, the utility company will remove sales tax from the bill and the entire bill will be tax exempt. A predominate usage study is required in order to be valid. It is not required. The state does encourage the certificate and utility study to be completed by a professional however. The states are quicker to approve applications filed by professionals so that the state’s personnel’s time is not spent needlessly. Inaccurate information typically results in denial and forfeit of future savings. On Your Mark completes and certifies the predominate usage study. A list is required that identifies each piece of equipment or appliance that uses the utility; and its associated annual consumption (for each piece of equipment). The list is broken down between production equipment and non-production. If the study determines that a meter’s utility consumption, e.g. electricity, is used a minimum of 75% of for production, then the whole meter is exempt. Utilities used for R&D qualify as production. What is the scope of work of a Professional providing the utility sales tax exemption work in Massachusetts? Utility Study: An accurate utility study is performed and certified by On Your Mark – at no charge. Only after the company sees savings does On Your Mark bill for a share of the savings. If a utility doesn’t qualify, On Your Mark does not bill for its work. Refund Claim for sales tax paid on exempt meter: On Your Mark will investigate qualifying for a tax refund for an exempt meter and will file and vigorously advocate for any refund due. Massachusetts has a 36 month statute of limitations. Minimize time and frustration: One of the drawbacks a company faces in order to obtain a valid exemption certificate is that they don’t necessarily have personnel experienced to know how to perform the utility study to meet state prerequisites. Choosing a professional to complete the work avoids wasted time and frustration. Obtain the Utility Sales Tax Exemption – Risk Free and in the shortest amount of time: On Your Mark performs the study and evaluation at no charge. On Your Mark completes the filing of the certificate and refund if applicable. If the customer gets no savings, there is no fee charged by On Your Mark. On Your Mark only charges after savings have been obtained.